Boasting a unique Aurora Glass finish on its back, the new honor 8 smartphone is truly a work of art that has to be seen to be appreciated. But it is not just a good-looking smartphone. 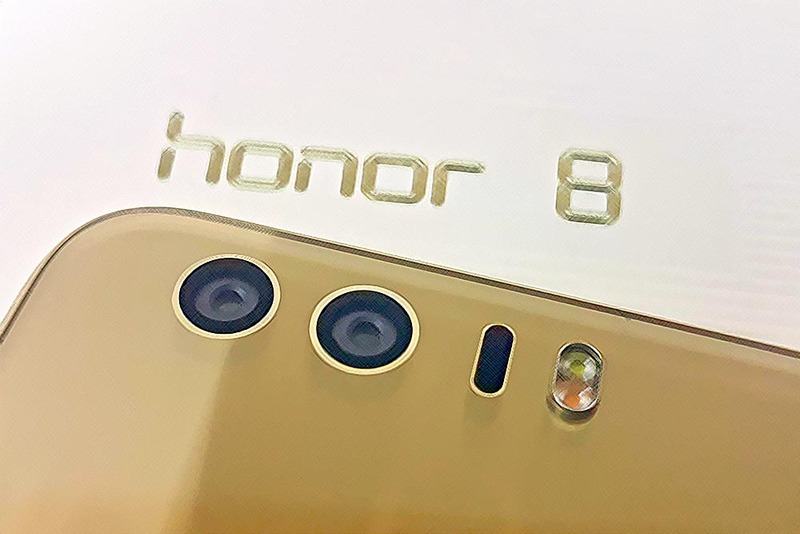 The honor 8 also features a dual-lens main camera, like its brother – the Huawei P9. So join us as we take a close look at the honor 8 smartphone! The standard honor 8 models are priced at RM 1,699 / ~US$ 425 with 32 GB of storage, and is available in either Pearl White or Midnight Black. The premium honor 8 models are priced at RM 1,899 / ~US$ 475 with 64 GB of storage, and either Sapphire Blue or Sunrise Gold colours. The honor 8 comes in a white two-piece cardboard box with a textured surface. The tall and thin design presumably allows more units to be placed side-by-side on a counter. The inner box slides downwards and is secured by a single clear security sticker. Be careful once that sticker is cut, because the inner box will slide right out! Next : Find The Yes Man To Win RM50K In Cash Prizes! I have the FRD-L04 Honor 8 32 GB model and am currently using two sims in the hybrid sim card slot. Please correct the specifications. Are you sure you are using FRD-L04? If you check the Honor 8 manual (page 7 – http://download-c.huawei.com/download/downloadCenter?downloadId=88963&version=346617&siteCode=us-h&view=true), it’s stated that FRD-L04 only has a single SIM slot. According to Honor, only FRD-L09 and FRD-L19 come with a hybrid SIM tray that can support up to two nano SIMs.